Let us ponder over these supplications, and what made them so wonderful. Let us recite them ourselves in our times of grief, hardship or sadness so that like the people of old, we are given a miraculous outcome as well! We start our journey with the Prophet Ayyub (peace be upon him). He was an affluent person with a lot going good in his life. Then suddenly he fell ill. It was a skin disease where he had pus coming out of his body and all the people started moving away from him. Moreover, after an accident he lost many of his children. 1- EXPRESSING HIS WEAKNESS– He tells Allah he has been touched by adversity, thereby expressing his helplessness about the situation. 2- DOESN'T BLAME ALLAH- He could have said, “Allah you tested me with adversity”, but rather said “adversity has touched me”, showing the respect to Allah that is part of our etiquette in du’a. 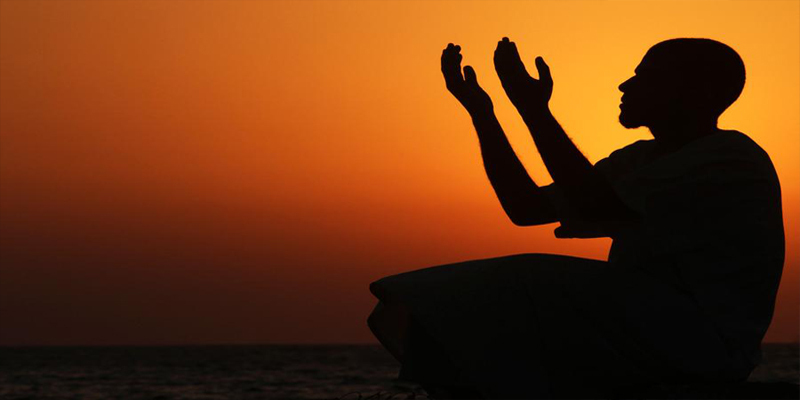 3- HE ASKS FOR ALLAH'S MERCY– In spite of all that has gone on, the Prophet still asks for Allah’s mercy. He has not lost hope in Allah’s mercy in spite of all that has happened. The second supplication we will look at is by the companions of the Prophet (peace be upon him) during the battle of Uhud. The companions had just suffered a bad defeat. The Quraysh were rallying for another round to finish off the Muslims. When all means came to an end, they trusted their hearts on the Lord of the means. They knew where true help and true victory came from. Because Allah is the Best Caretaker of all affairs. He takes care of us while we do not recognize it. Only during a time when we are in desperate need do we understand how much Allah really does take care of us. And Allah saved them, and delivered them. When the Prophet Ibrahim was thrown into the fire, he said the same supplication and Allah changed the laws of nature for him so that the fire didn’t burn him. When Aisha was slandered, she made the same du’a, and Allah revealed 20 verses of the Quran protesting her innocence. What can we learn from this du’a? 4- TRUSTING IN ALLAH– The people tried to put doubts in their hearts, but they trusted in Allah. They knew that no matter what happens, Allah will not let them down. One of the keys of having a du’a accepted is in completely trusting that Allah will deliver.